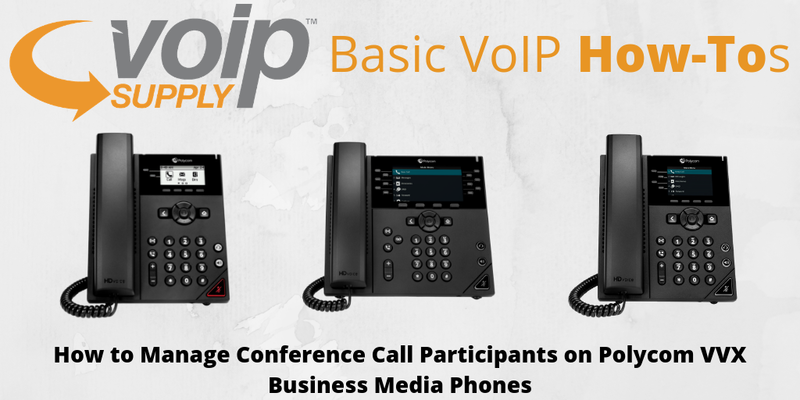 It’s no secret that Polycom VVX business media phones are a great option for hosting conference meetings. They don’t just deliver outstanding sound quality, but also provide advanced conferencing features such as three-way audio conferencing and one-touch speed dial to make your meeting as delightful as possible. If you are using Polycom’s VVX series to host a conference call and not sure how to manage your call participants, keep reading! It’s fairly simple. Select “Manage”. If you are in the Calls screen, highlight the conference first. Select “Far Mute” to mute the participant. The muted participant can hear everyone but can not be heard by others. Select “Remove” to remove the participant from the conference, end the conference call and create an active call between you and the participant still in the call. Select “Information” to view a participant’s call status. Select “Back” to exit the conference management function. There you have it! Polycom’s new VVX series offers more than just conferencing management features, it also comes with lots of useful phone features such as shared lines, phone locking, etc. Check out the useful manual to learn more!